Comments: A half-folio image from the Cairo series. 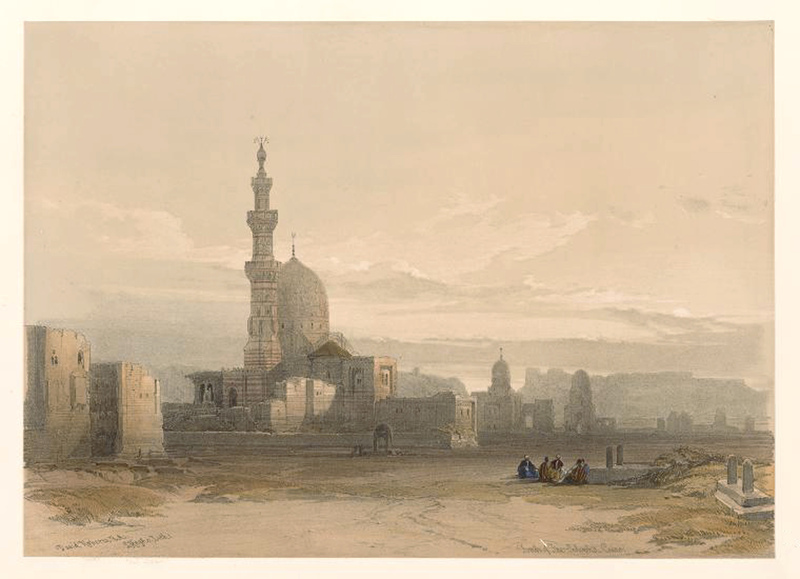 Roberts made a number of sketches of the large complex of tombs at Cairo, of which this is one. Price: $225 colored, $300 colored. Paper : 16 3/8" x 23 15/16"
Image: 9 3/4" x 13 1/2"